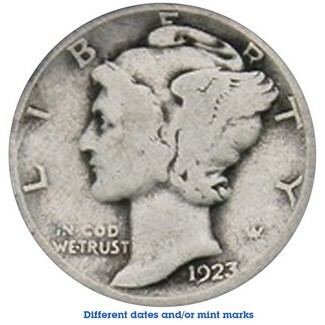 Adolph A. Weinman Special: Mercury Dimes. A 50 coin roll of average circulated Mercury dimes. All 50 coins will be different dates and/or mint marks and will arrive in a coin tube.